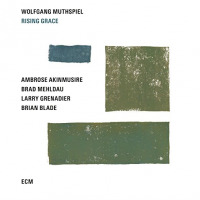 The inventiveness that Austrian guitarist Wolfgang Muthspiel displayed on 2016's Rising Grace (ECM) is on display once more on Where The River Goesagain made with an American quartet, this time comprising pianist Brad Mehldau, trumpeter Ambrose Akinmusire, bassist Larry Grenadier and drummer Eric Harland (who replaces Rising Grace's Brian Blade). Where The River Goes is a less introspective disc than its predecessor, with more in the moment improv between the players. "Descendants" begins somberly with its billowing guitar when in waxes trumpeter Akinmusire, quietly exultant, before Grenadier and Harland take the tune away. 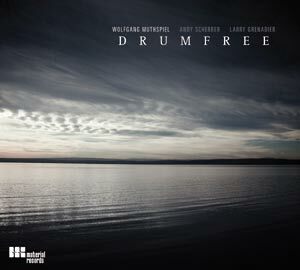 Mehldau and the leader are mind-locked on the dancing spirals of "For Django." 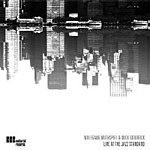 On "Clearing," Muthspiel and Mehldau hold the center until midway, when Mehldau flows out as Akinmusire flows in with deep whispers, opening new spaces, before Muthspiel's solo feature "Buenos Aires." "One Day My Prince Was Gone" references Miles Davis' treatment of "Someday My Prince Will Come," while "Blueshead" finds Mehldau bracing and blues energized. 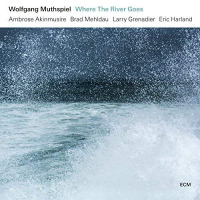 Another solo turn from Muthspiel, "Panorama," serves to quiet the room and turn the listener towards the window, watching the river roll past. Track Listing: Where The River Goes; For Django; Descendants; Clearing; Buenos Aires; One Day My Prince Was Gone; Blueshead; Panorama. 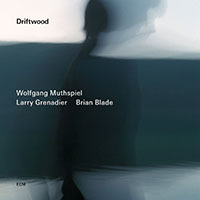 Personnel: Wolfgang Muthspiel: guitar; Ambrose Akinmusire: trumpet; Brad Mehldau: piano; Larry Grenadier: double bass; Eric Harland: drums.